Summary: A simple sci-fi thrill ride with a weak story. Partly compensated for by special effects. Back in the 1980s the simplicity of arcade games hooked the younger generation without the ability to go online and battle others from around the world in 3D worlds. Then, you’d play against someone next to you at 10p a time at the local arcade, goaded on by friends and onlookers, or play on a primitive version in your lounge. The appearance of TRON at the cinema lived out the dream of being inside a computerised world and playing games against a choice of thousands of gamers living in a digital world. OK, so we haven’t quite managed to get to point of jacking Matrix-style into the internet let alone get sucked into a computer by a laser beam capable of transporting fruit, but you get the idea: the success of TRON was helped by its futuristic ideas even through much of it is now has a dated charm. This belated sequel comes as the Internet is prevalent in our everyday lives while everything from MMORPGs and first person shooters to driving games and beat-em-ups are played via a broadband connection. Will it exude the same level of excitement? If the gloss of the special effects is anything to go by, then yes! Jeff Bridges returns as maverick programmer and gaming ace Kevin Flynn, now an old businessman with a rebellious 27-year-old son Sam (Hedlund). When Flynn senior goes missing, Sam discovers there is a strange signal coming from Flynn’s Arcade seeming coming from his father, leading to a blast into cyber space in the hope to find him. “Wait, does it have the flying tanks, discs and, most importantly, the cyber bikes?” I hear you cry. Yes, yes it does, and it’s up to Sam and the cyber inhabitants to use them in all their CGI glory to battle the force trying to stop the rescue mission. You see, such is the care and attention that has gone into the special effects, while shooting the film lasted just 64 days, post-production required 68 weeks. 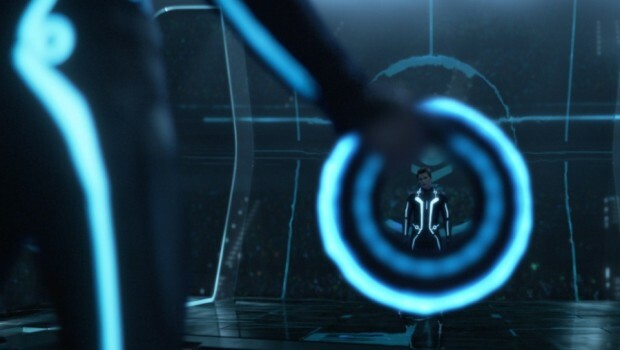 And with a wardrobe budget costing $13 million (one custom suit for the racers alone cost $60,000), TRON: Legacy seems to be gambling on its graphics being the main attraction as director Joseph Kosinski is an unknown and the cast low key. While the bones of the story sounds like a typical chase affair with computer challenges thrown in, the meat will be the same action and visual spectacular which the original once offered to audiences in the 1980s. TRON: Legacy looks suitably upgraded with the latest CGI technology to offer the vital eye candy, if there’s an ounce of gravitas in the narrative to match it then its Boxing Day release will provide ample excuse to leave the house into the wintery chill to get to the cinema. Disney has scored also a big win for hype value by securing the robot-head wearing French house duo Daft Punk to provide the original soundtrack to the movie. Their heavily computer-manipulated vocals and gritty style is well suited to the dark big brother undertones running through TRON, while their lack of recent recordings in favour of making their own films make the music is highly anticipated. It could be the coup that provides the icing on what is looking like a very tasty digital cake.